This Complete Upper includes the Aero Precision Gen 2 Enhanced Handguard! Key features include the addition of quick disconnect sling sockets, enhanced milling design for grip and visual appeal and a new profile for the picatinny top rail. 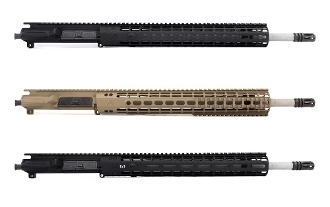 This complete upper does not include a BCG or Charging Handle. These products can be found on our website if interested.